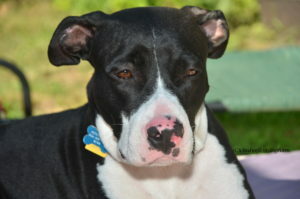 Shay was found as a stray in Philadelphia. 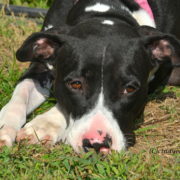 WJVA pulled her from ACCT. At the time she was extremely thin and neglected…having just given birth. Somebody just dumped her. 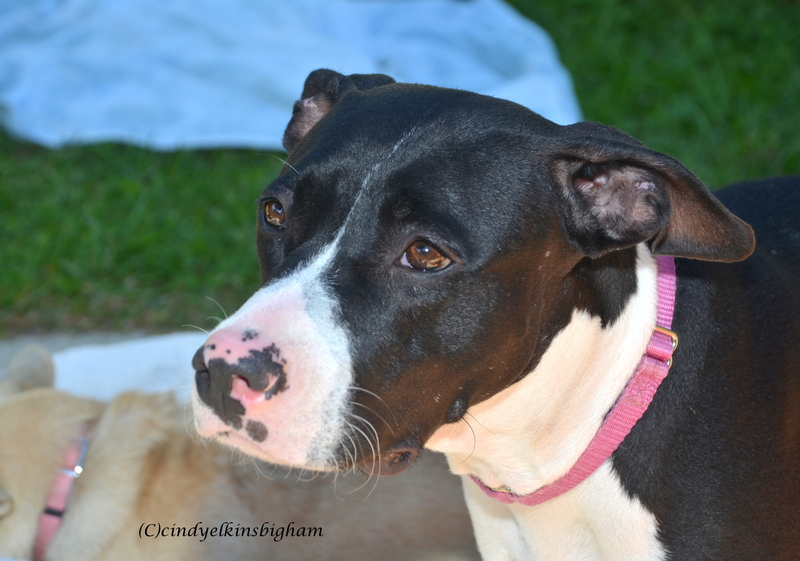 I know…..you say how can anyone do such a thing. 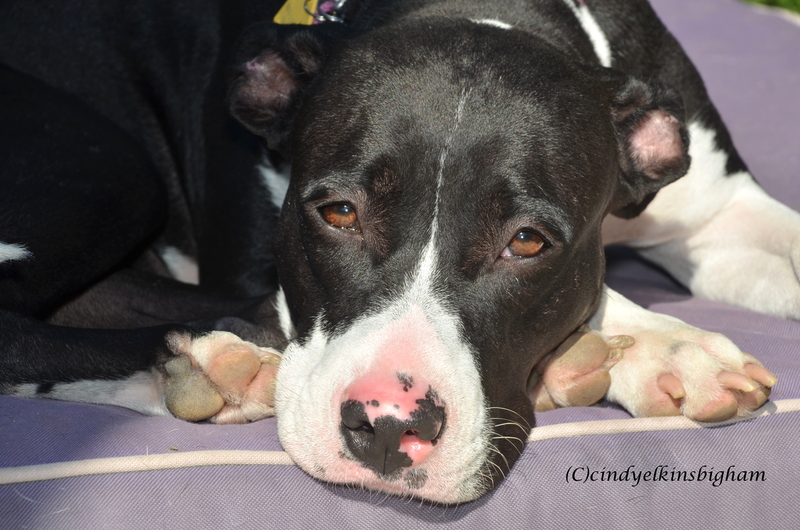 Well, the sad truth is this is something that happens all the time. 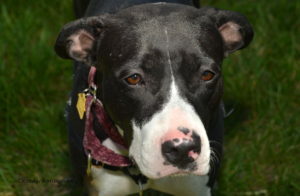 Shay is a terrier mix. 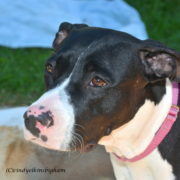 We think she is American Staffordshire Terrier possibly mixed with some Greyhound or Whippet. 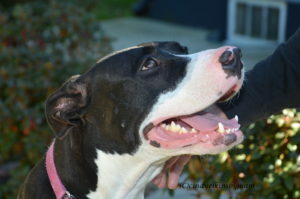 She is about 3 years old. She loves to go for walks and is quite good on leash. 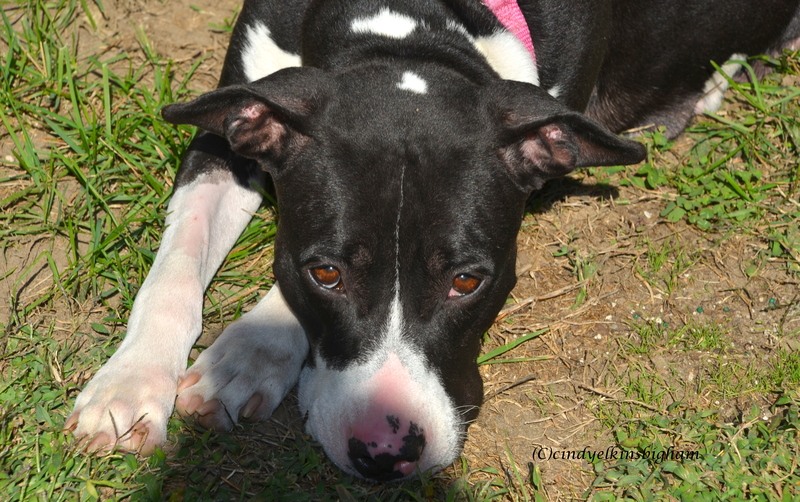 Shay loves to be outside with her person and just chill. 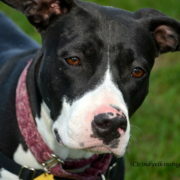 Shay will do best in a home as the only dog. She craves attention and love and would prefer not to share her human. 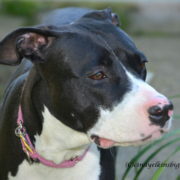 She will need to be exercised daily. 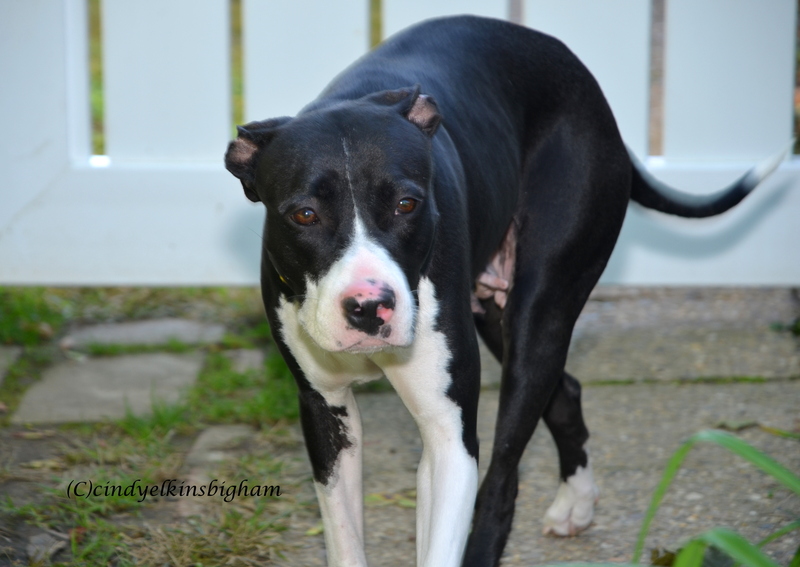 She is a fan of long walks and checking out all the smells in the backyard. 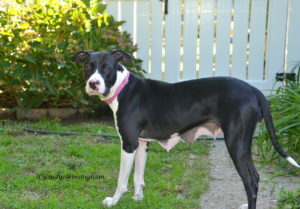 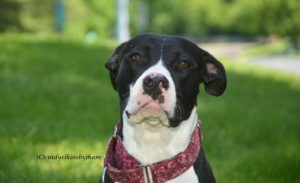 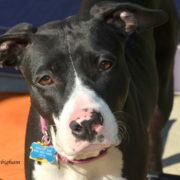 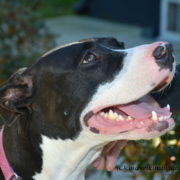 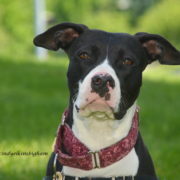 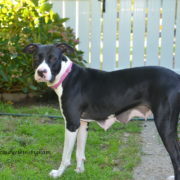 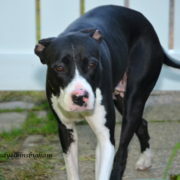 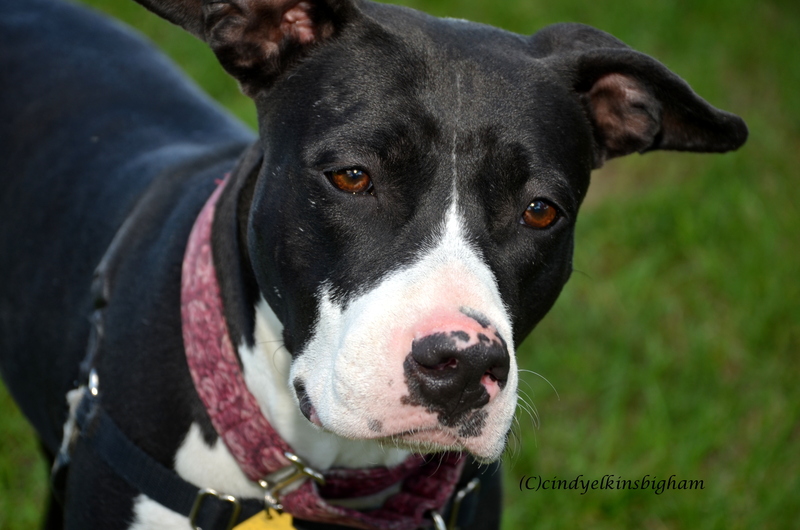 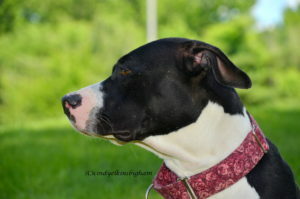 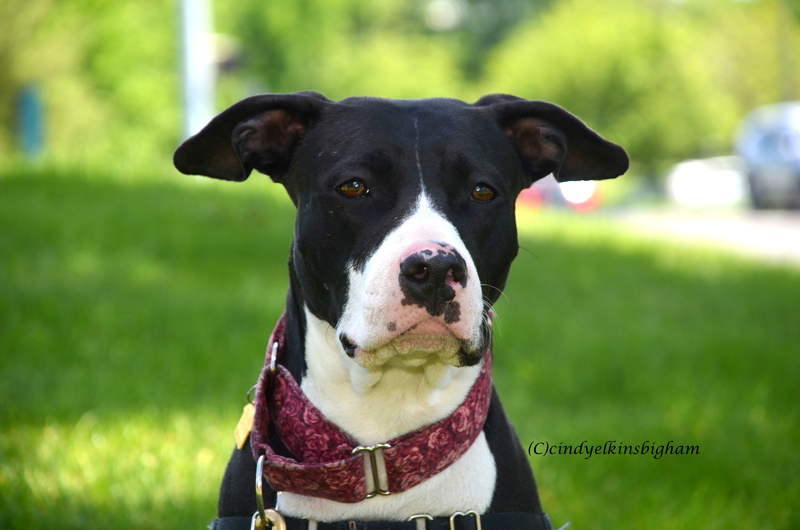 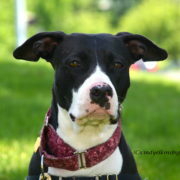 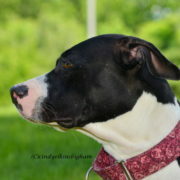 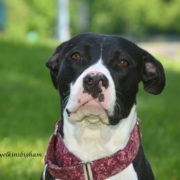 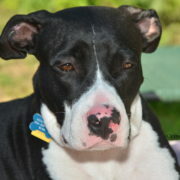 Shay is treadmill trained and extremely smart..she is very gentle and kind. She would do great with older dog savvy children. 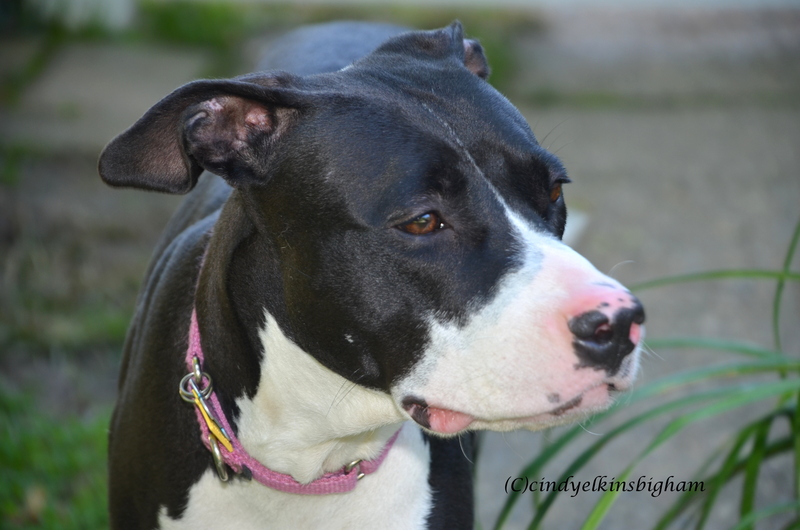 No felines for this girl. 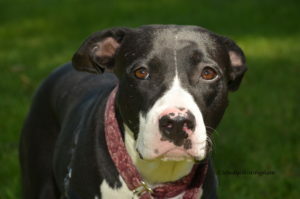 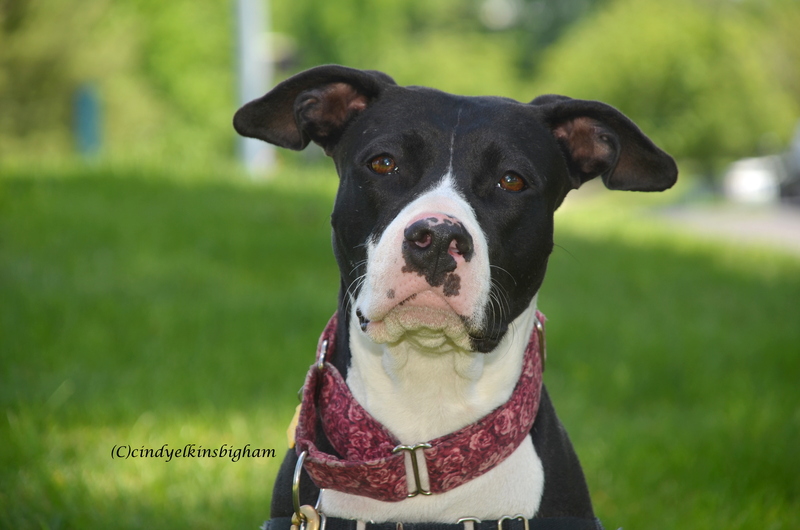 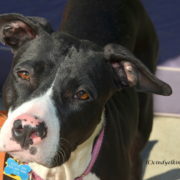 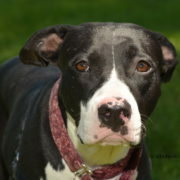 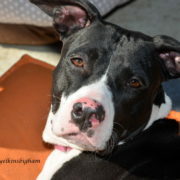 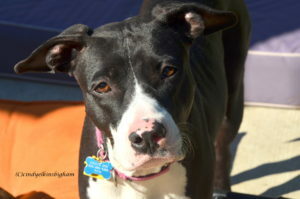 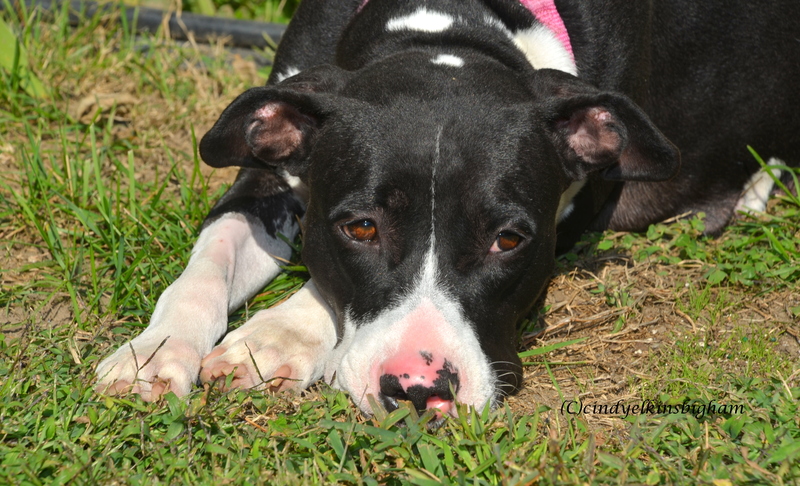 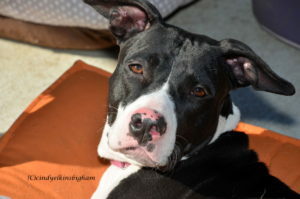 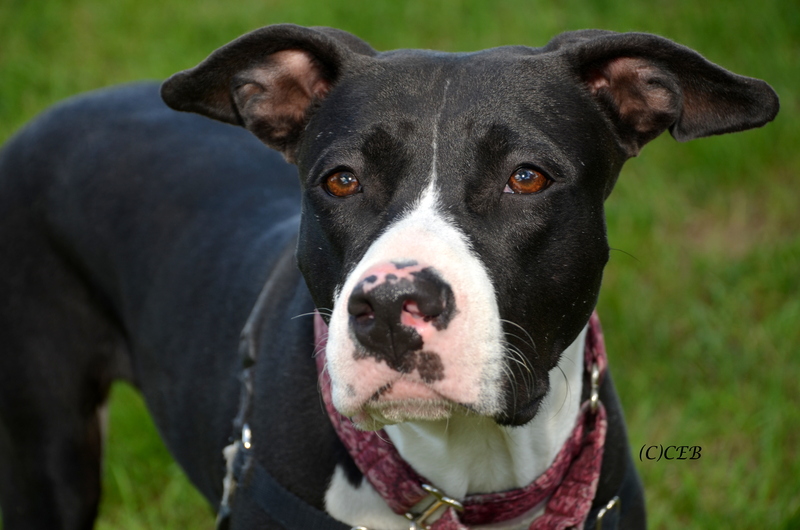 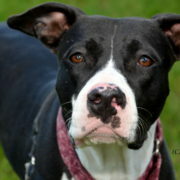 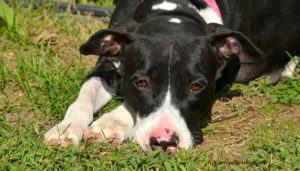 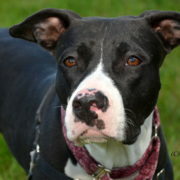 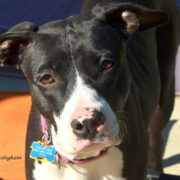 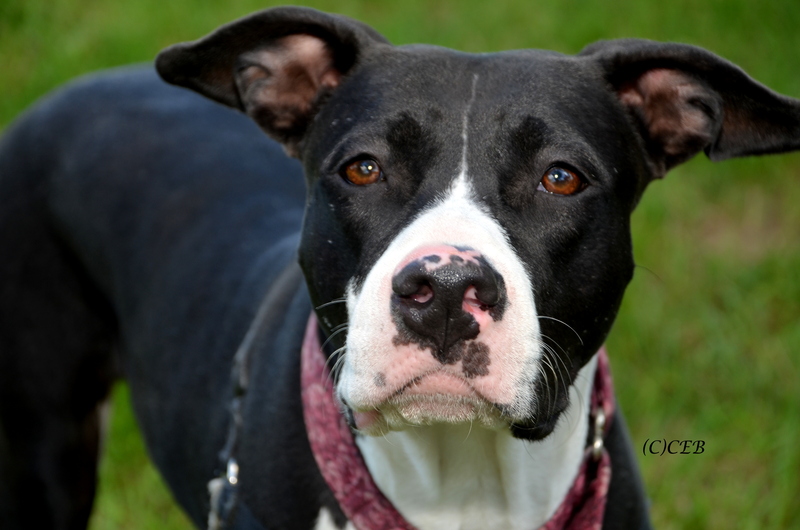 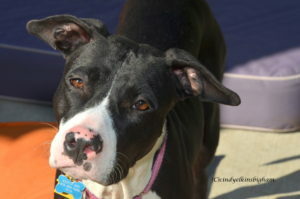 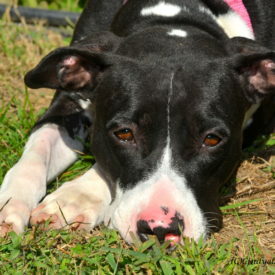 So….if you are looking for a whole lotta of love and kisses Shay may be your girl. 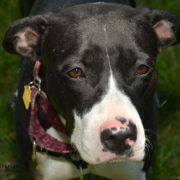 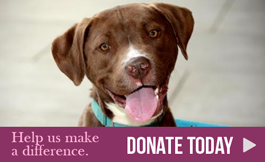 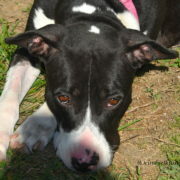 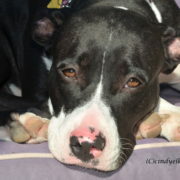 Please fill out an application or email Iris at wjvolunteers@yahoo.com if you think you have the right home for Shay.